Here at Hotel Belmar, we like to find a balance between luxury and wellness, and we treat our dishes in the same way. At Restaurante Celajes, we pride ourselves on serving meals that are at once healthy, elegant, and delicious. Here are some of our favorite brunch dishes. 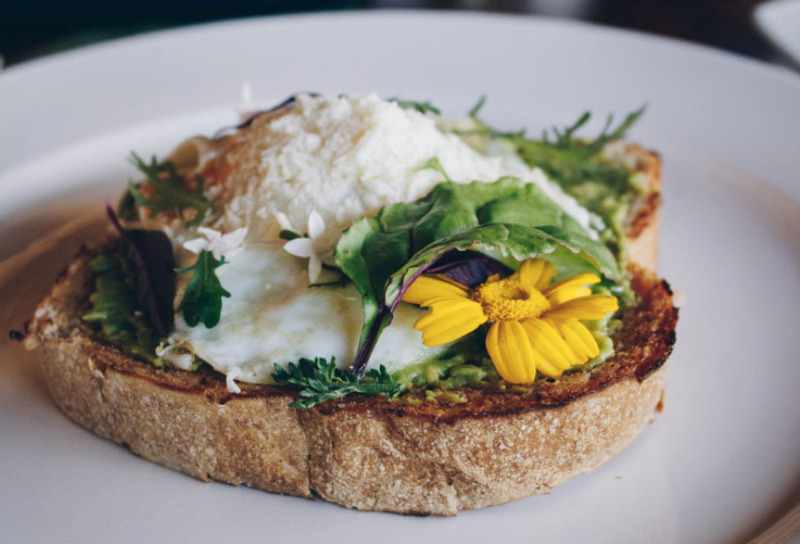 This elevated toast dish features mashed avocado, a fried egg, bagaces cheese, and sprouts picked from our onsite garden, all atop a generous slice of lightly toasted whole wheat bread. This dish is so unbelievably fresh, you’ll wish you could make it last forever! This gorgeous homemade banana bread is prepared with coconut milk and cinnamon, packed with rich flavor even before garnishing. 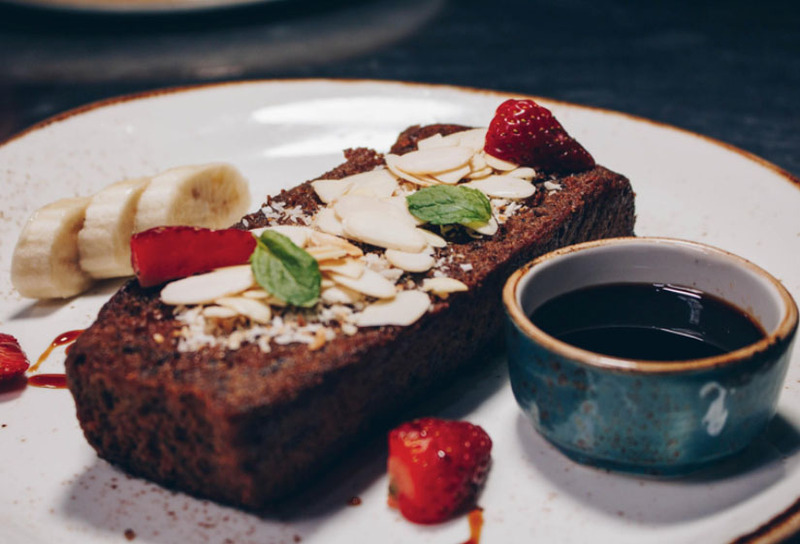 The bread is topped with fresh slices of banana and strawberry, mint leaves, coconut, and almond slices, followed by a drizzle of sweet lavender syrup. Need we say more? We love this healthy variation of the gallo, a traditional Costa Rican tortilla snack. 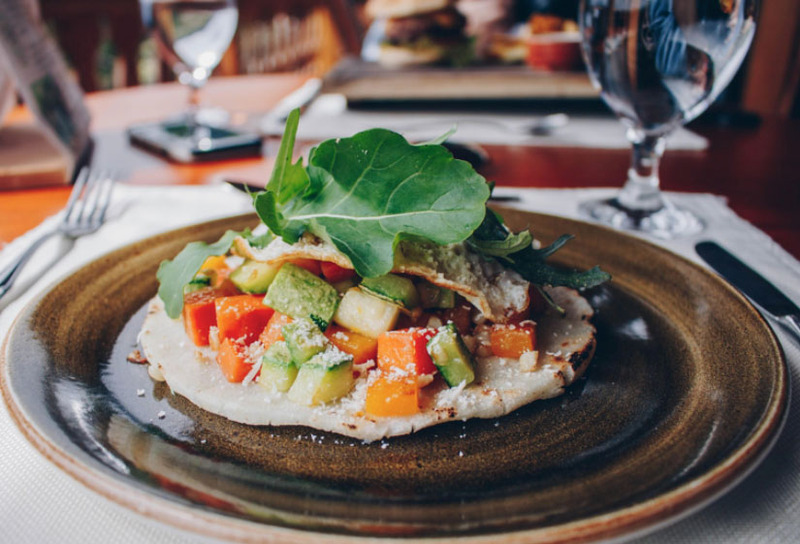 The fresh corn tortilla holds an amazing combination of avocado, zucchini, squash, carrots, roasted corn, herbs, and bagaces cheese. You can also add on an egg in any style. Even meat eaters may find their mouths watering for this vegetarian delight. 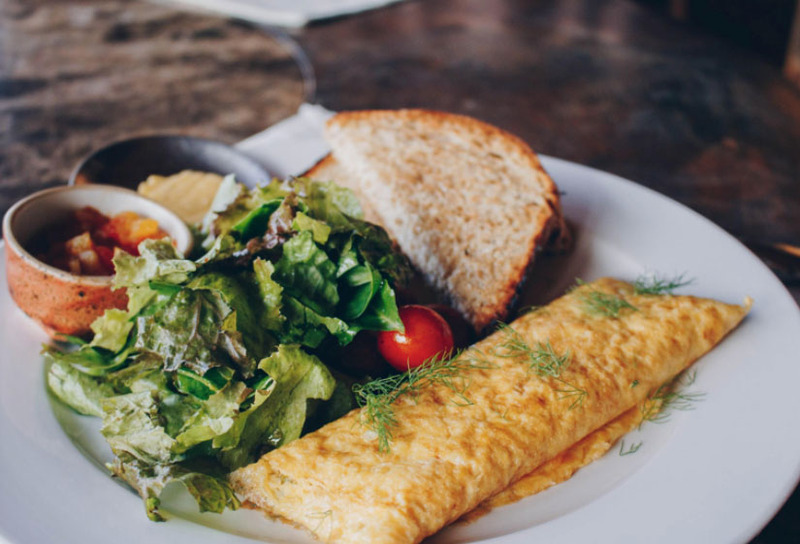 This fluffy, cheesy egg blanket is served with a salad of fresh greens, bacon bits, grilled cherry tomatoes, and herb pesto, with your choice of fresh toast or handmade corn tortillas. The perfect way to get energy for your adventurous day of exploring the amazing sights of Monteverde! 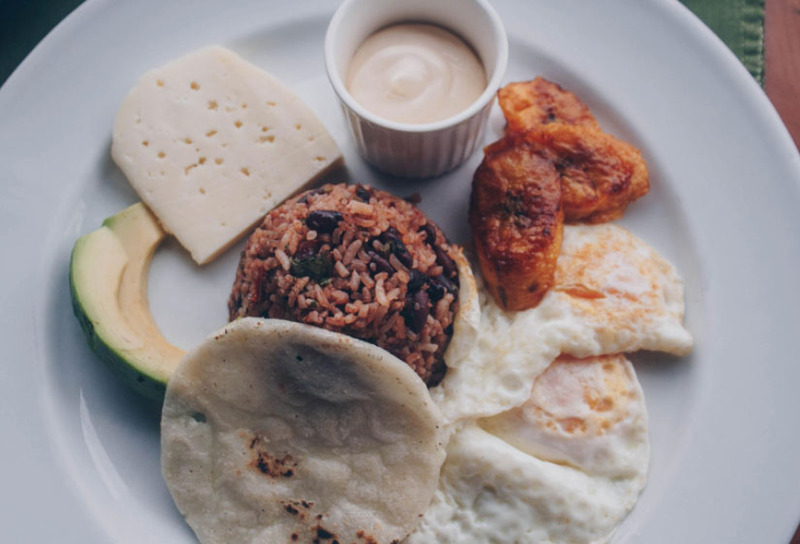 Of course, you cannot leave Costa Rica without trying the traditional breakfast dish, gallo pinto: an irresistible arrangement of rice and beans (whose specific composition is what makes them gallo pinto), avocado, sweet plantains, cheese made on our farm, handmade tortillas, and homemade sour cream. Eggs in any style. Enjoy this dish with a fresh cup of Costa Rican coffee, and you’ll be ready for anything. What’s your favorite dish at Restaurante Celajes?